New arrival: Huawei nova 2 lite entry Android smartphone « Tech bytes for tea? The HUAWEI nova 2 lite brings pictures to life with its 13MP+2MP dual rear camera, accompanied by a stunning wide aperture that allows users to control the amount of light entering the camera lens. 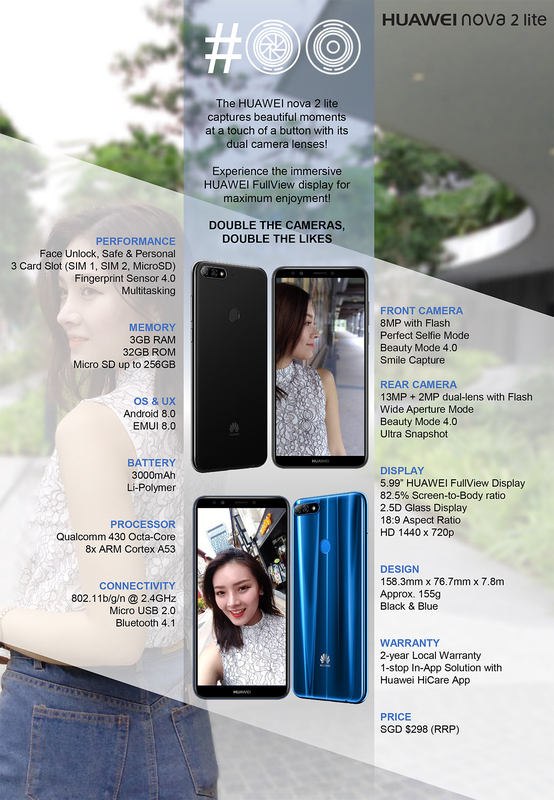 Key features of the Huawei nova 2 lite at a glance. Click to enlarge. The 13MP camera is predominantly used to take photos while the 2MP camera offers a Bokeh effect with up to 7 aperture levels to choose from. The HUAWEI nova 2 lite also allows users to refocus photos after capturing them. The front of the HUAWEI nova 2 lite features an impressive 8MP camera with advanced selfie toning flash, which automatically detects the light on someone’s face and intelligently adjusts the brightness for a natural-looking selfie. This means that the flash can produce flattering soft light under low-light or even pitch black conditions. Both front and rear cameras support different Augmented Reality modes; giving users the option of altering their backgrounds, donning on cute outfits or even turning themselves into various cosplay characters. These features certainly make photography even more fun. While the HUAWEI nova 2 lite may be the entry-level smartphone in the Nova series, it certainly does not compromise on performance. 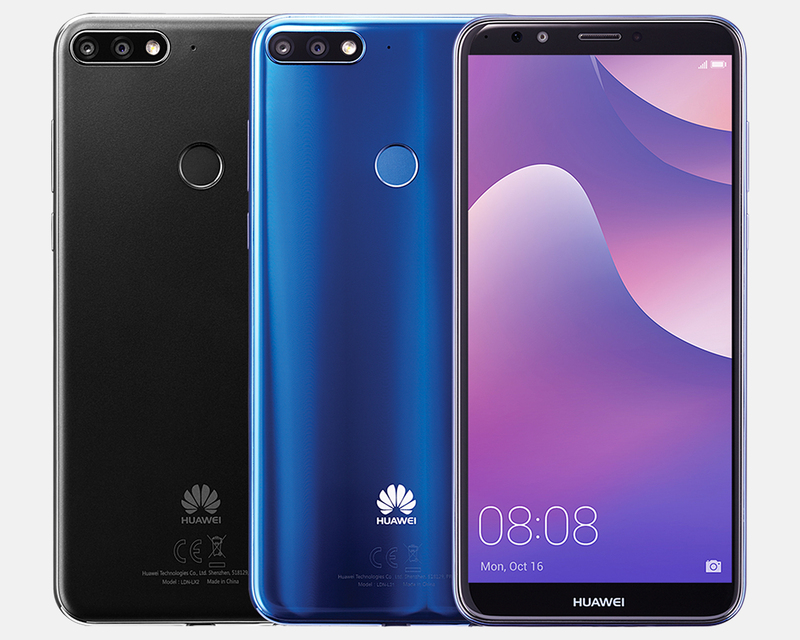 The HUAWEI nova 2 lite offers an impressive 5.99-inch HUAWEI FullView Display and has the largest screen-to-body ratio in its class. This means that the stunning 18:9 aspect ratio delivers a truly immersive widescreen viewing experience for all. The 8MP front camera with selfie toning flash will entice even the most camera-shy individual to embrace his or her selfie-taking impulses, allowing anyone to take Instagram-worthy selfies, day or night. It also comes preloaded with EMUI 8.0 for a seamless and more intelligent user experience. This entry was posted on Wednesday, March 14th, 2018 at 12:22 pm and is filed under Announce, Availability, Gadgets, gadgets, Huawei, newArrivals, Phones, Press Release, Prices, smartphones, Specifications. You can follow any responses to this entry through the RSS 2.0 feed. You can leave a response, or trackback from your own site.